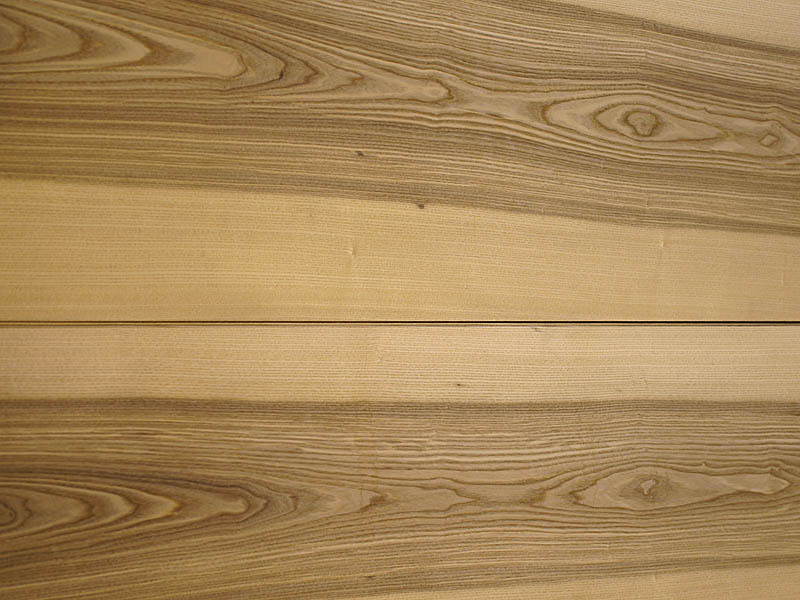 Olive Ash Crown Cut is a highly decorative veneer, but it is also clear and fresh natural wood surface. As Olive wood, it fits perfectly as a finishing for furniture or spaces related to the kitchen and dinning room. It natural look makes it also easy to use as a refinished decorative board suitable for young people rooms, some kind of commercial spaces and second residences. Olive Ash does not refer to any specific species of Ash. The term is used to describe the darker, streaked heartwood found in some Ash trees. It is called Olive because it tends to resemble the wood of Olive trees with contrasted patterns of both light and dark colours. It is a hardwood which is straight and regular. Ash is only slightly durable but has a coarse texture similar to oak being easy to work both with hands or machine tools. 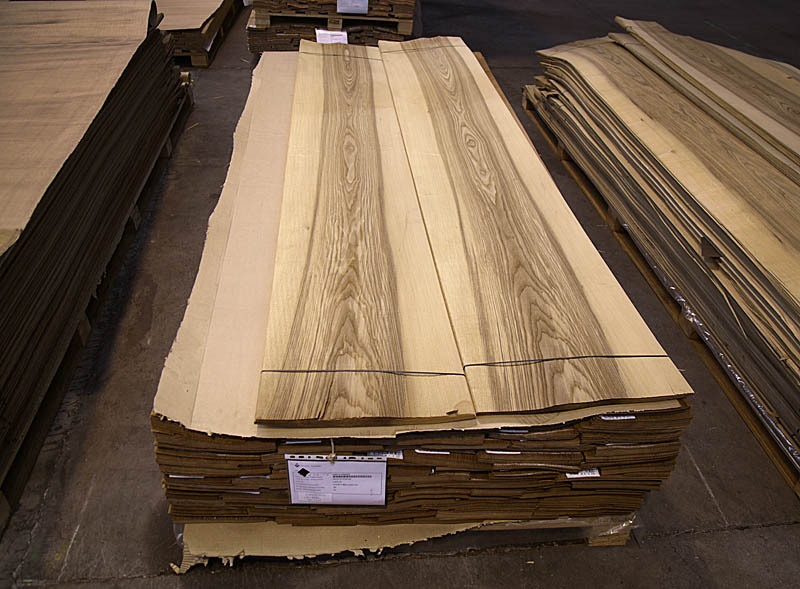 CHANNEL VENEERS offers this reference as a result of a previous selection of European Ash logs, specially when they are selected to be crown cut. Olive Ash has a very intense decorative presence despite of combining in the same board straight grain with figured patterns. When it is crown cut, the figures of Olive Ash might remember to other species such as Chestnut. In addition to this, Olive Ash veneers present two different tones. Both of them are light brown being the core wood darker and more contrasted. 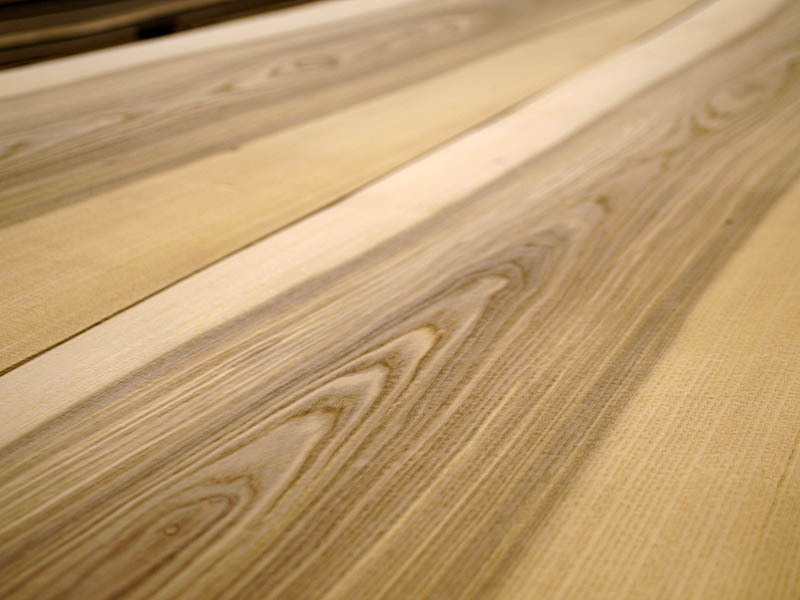 The company currently produces Olive Ash in a wide range of formats. Despite of this, CHANNEL VENEERS is able to supply any quantity and to satisfy any specification related to the length or width of the required bundles. For further information on this reference, please contact directly with the company.